India lodged a strong protest with China over granting stapled visa to two teenage Indian archers from Arunachal Pradesh, barring their travel to China for an upcoming world championship. 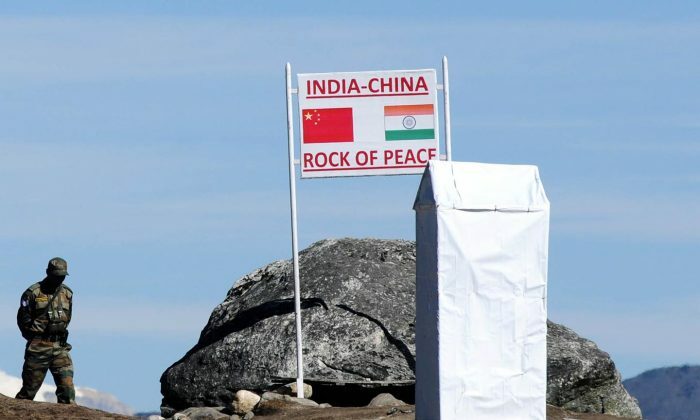 The Chinese Embassy’s action that came days ahead of Indian prime minister’s visit to Beijing is seen as another attempt by the communist regime to mark its authority over the bordered Indian territory of Arunachal Pradesh. Maselo Mihu and Sorang Yumi, both aged 14, were a part of 24-member contingent for the Youth World Archery Championships scheduled from October 13–20 in Wuxi, China. They were unable to board a China-bound flight from Delhi’s Indira Gandhi International Airport on October 10 as the immigration officials refused to clear them due to their visas stapled on their passports. The vice-president of Archery Association of India (AAI), Kiren Rijiju, told the Press trust of India (PTI) that the archers were stopped at the immigration counter from proceeding further, thus the matter ended at the immigration counter. “The Arunachalis are Indian citizens. How would India accept its citizens being issued stapled visas by the Chinese Embassy? Doing that would mean that India accepts China’s claim that Arunachal Pradesh is a disputed territory,” Rijiju said. Rijiju asked Prime Minister Dr. Manmohan Singh to bring up the issue with his Chinese counterpart during his forthcoming visit to Beijing and to take strong action against China by counter-issuing stapled visa to people from different Chinese provinces that are facing territorial disputes. “The Prime Minister must raise the issue of stapled visa with China. It is getting complicated day by day. He must tell Chinese leadership that Arunachal Pradesh is an integral part of India. Stapled visa is unacceptable,” Rijiju told the PTI. The budding archers felt helpless after their dream to play in the world championship was drowned. “We are very young and cannot do anything. We hope this issue will be solved. What can we say more than this? More than us, other sportspersons from our state will continue to suffer if this continues,” Yumi told the PTI. The incident was not the first of its kind; earlier also sportspersons and officials from Arunachal Pradesh were not allowed to travel to China on the context of stapled visas. In 2011, Indian Weightlifting Federation Joint Secretary Abraham K. Techi and lifter Yukar Sibi, and in 2010 Melbourne 2006 Commonwealth Games gold medalist shooter Pemba Tamang were denied travel permission to China of the same grounds. While, a few months ago, an Indian Air Force officer from Arunachal Pradesh was granted a stapled visa by China due to which he had to cancel his visit. According to media reports, AAI President Vijay Kumar Malhotra has written in his strongly-worded letter addressed to External Affairs Minister Salman Khurshid that China has often indulged in such “mischievous activities challenging the territorial integrity of India.” He asked the ministry to seek clarification from the Chinese Embassy for not allowing the compound archers to participate in the world event. “There has to be a measured and comprehensive response to these Chinese dirty tricks from the Indian government,” Malhotra said.